Why Angular? 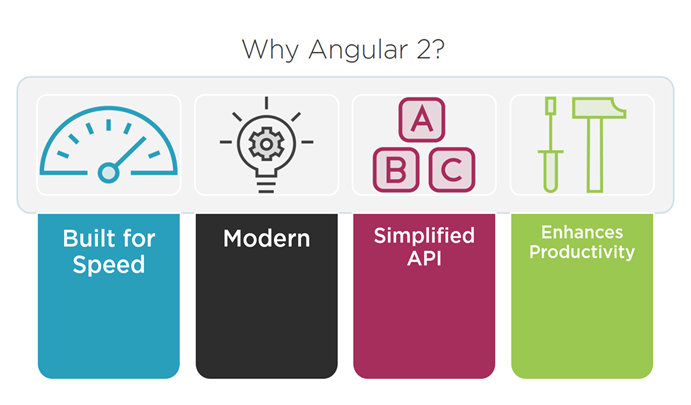 Why Angular 2? · Angular makes our HTML more expressive. It powers up our HTML with features such as if conditions, for loops and local variables. 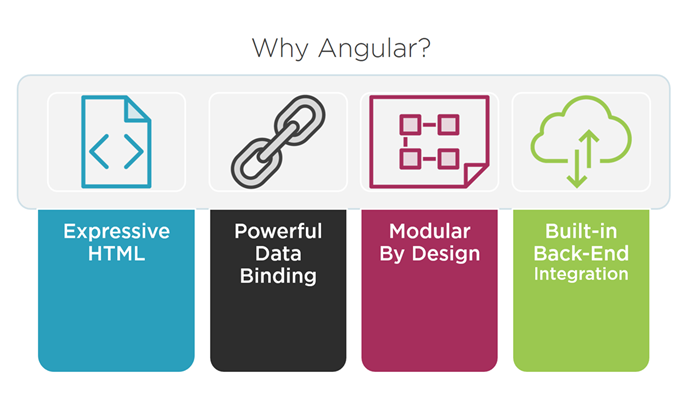 · Angular has powerful data binding. We can easily display fields from our data model, track changes, and process updates from the user. · Angular promotes modularity by design. Our applications become a set of building blocks, making it easier to create and reuse content. · And Angular has built-in support for communication with a back-end service. This makes it easy for our Web applications to integrate with a backend service to get and post data or execute server-side business logic. No wonder Angular is so very popular with Web developers! With so many developers already using Angular 1, why do we need an Angular 2? · Angular 2 is built for speed. It has faster initial loads, faster change detection and improved rendering times. · Angular 2 has a simplified API. It has fewer built-in directives to learn, simpler binding, and a lower overall concept count. · And Angular 2 enhances our productivity to improve our day-to-day workflow by providing a consistent pattern for writing our code. 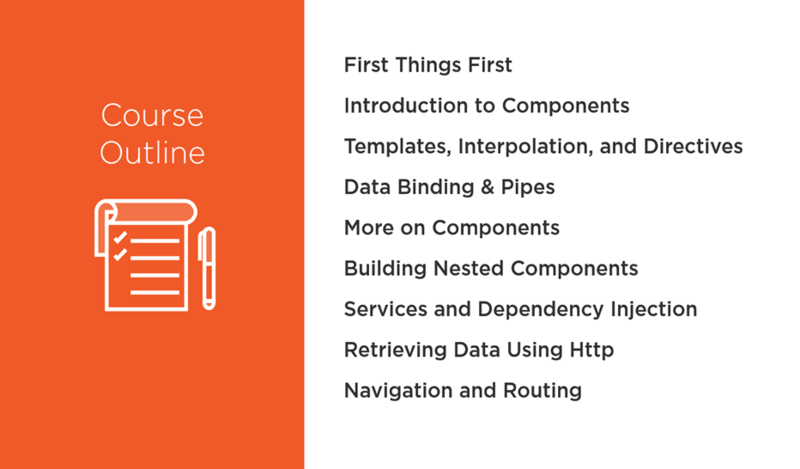 For more information on Angular 2, check out my “Angular 2: Getting Started” course from Pluralsight. Whether you are new to Angular or new to Angular 2, you’re going to want to come up to speed quickly with Angular 2’s components, templates, and services. My latest Pluralsight course “Angular 2: Getting Started” provides the basics you need to get started building an Angular 2 application. o We start with first things first. We’ll select a language and editor to use. Then walk through how to set up an Angular 2 application. o Next we’ll dive into components. We’ll build the App component using a simple template and minimal component code and metadata. Here the focus is on the code including the what, why, and how. o We’ll see how to build the user interface for our application using templates, interpolation, and directives. 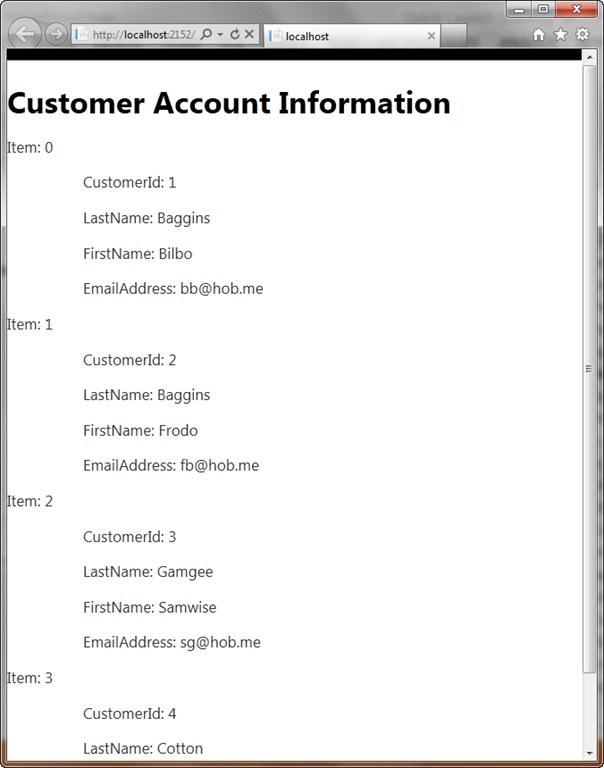 o We’ll power up that user interface with data binding and nicely format our data with pipes. o Next we’ll tackle some additional component techniques. We’ll define interfaces, encapsulate styles, and leverage lifecycle hooks to build better components. o We’ll see how to build a component designed to be nested within other components. And how to communicate between the nested component and its container. o We often have logic or data that is needed across components. We’ll learn how to build services specifically for this purpose and use dependency injection to inject those services into the components that need them. o Most Web applications need to communicate with a back-end server to get or post data and to execute back-end business logic. In this module, we’ll leverage http and observables to retrieve the data for our application. o Our sample application displays multiple views. We’ll see how to set up routing to navigate between those views. We’re covering a lot of territory. And by the end of our journey, we’ll have a simple, but fully operational Angular 2 application that you can use as a reference for your own development. What Developers are Saying About: "Angular Front to Back With Web API"
Awesome WebAPI + Angular course! Thanks for your great course, it helped me to understand how to establish different CURD action between front end and back end. oh yea! Your course rocks too! Even a beginner can view this course and your other one and be successful. Great course, it is really concise and to-the-point. First of all I would like to congratulate you on publishing a fantastic set of courses on AngularJS Line of Business Apps and more so recently Angular Front to Back with Web API. I think what stands out for me is the way in which you provide holistic approach to delivering excellent technical content. I Love your angularjs pluralsight courses. Learnt a lot and using at work. Thank you for building a .Net course F2B that uses (vm = this) and (controller as) syntax!!! You rock. onClick() – executes the function and returns the value. onClick – references the function. Defines a function as part of a larger expression such as a variable assignment. buttonClick() – executes the function and returns the value. buttonClick – references the function. onClick() – generates an undefined error. NOTE: The variable declaration (buttonClick) does get hoisted, but only the definition, not the assignment. So at runtime, var buttonClick = undefined is hoisted. But the assignment does not occur until the un-hoisted assignment statement is executed. Basically a function declaration. (See above). The hoisting of function declarations can cause confusion or hard to find bugs. Function expressions more clearly imply that the function itself is an object. See this link for more examples and an enhanced discussion of function declarations vs function expressions. // On success, ‘data’ contains the customer details. // Format the text to display. // Add a paragraph for each property. If you followed the prior post mentioned above and built the sample Web API service, you can delete all of the code from the Index.cshtml file and replace it with the above code. $.getJSON: Gets the JSON format of the data returned when passing “api/customer/2” to the Web API service. You can change the url string passed to the service to match any url accepted by your service. $.each: Iterates over each object, executing a function for each one. 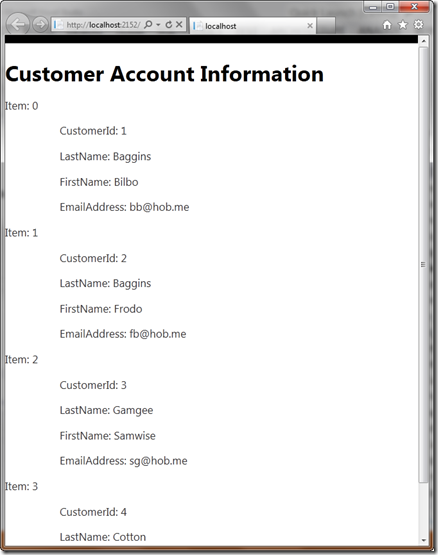 In this case, it processes each name/value pair provided by the JSON format. It builds a string with the name of the field, a colon, and the value. It adds the string to a paragraph element and then appends the paragraph to an element with an Id of #info. .fail: Provides error information if an error is returned by the service. The HTML code displays the header and a paragraph placeholder that is extended by the script. // On success, ‘data’ contains the customers details. This script includes two .each methods, the first one processes each customer and the second one processes each field of the customer from the JSON. Notice that both scripts could be used for any set of JSON objects returned from a Web API service. You just need to change the url string as appropriate for the service.